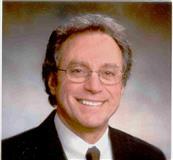 Coldwell Banker Residential Brokerage in Connecticut and Westchester County, New York., is pleased to congratulate Joe Piscitelli, a sales associate in the Coldwell Banker Residential Brokerage Milford office, for ranking as the company's No. 1 sales associate in New Haven County in 2012. With more than $23.6 million in sales volume in 2012 alone, Piscitelli has consistently been recognized as Coldwell Banker Residential Brokerage's top sales associate in New Haven County and among the company top agents for over 20 consecutive years. "Joe is an accomplished real estate professional who has earned the admiration of his clients and colleagues over the years. 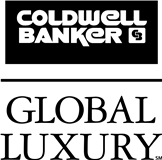 Again and again, he has proven his expertise in marketing and sales, and I am very proud that he is part of the Coldwell Banker Residential Brokerage team," said Cathleen Smith, president of Coldwell Banker Residential Brokerage in Connecticut and Westchester County, New York.